The family of Yuval Zaliouk, internationally known symphony conductor and gourmet chef, enjoyed his Grandmother Dina's secret recipe cookie. For generations, the cookie was called Petit Gateau Sec. Zaliouk always had a special place in his heart (and stomach) for this exquisite, crispy wafer with the delicate flavor of roasted almonds and the natural sweetness of plump raisins. Grandmother Dina literally kept the recipe a secret until her death. Only when she knew her time here was almost over, did she reveal the secret to her daughter, Zaliouk's mother. Long after his grandmother’s death, Zaliouk realized that this addictively delicious but extremely nutritious cookie fell squarely in line with the growing demands of health-conscious consumers. He renamed the cookies Almondina, after his grandmother. Within seven years, these cookies are now readily available in all 50 states and sought after in several foreign countries. This all-natural, crispy almond cookie has no cholesterol and no added fat, salt, or preservatives. It is wonderfully crunchy and can be enjoyed with coffee, tea, soft cheeses and wine. Almondina are unique - a gourmet cookie, health food and snack, all in one. What started as a single flavor can now be enjoyed in eight delicious varieties. They all have one thing in common, being packed with healthy almonds. Almondina is readily available at stores such as Publix, Giant Eagle, Whole Foods, Walmart, Trader Joe’s, Marshalls and many others. They can also be purchased online. You can find several tasty Almondina recipes on their blog, here. 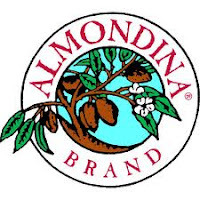 Feel free to follow Almondina on Facebook and Twitter to stay up-to-date on any new promotions and news! I had never heard of Almondina cookies until I was asked if I would like to review them. After reading up on them a little bit, I realized that this was not "my type" of cookie. I enjoy cookies like chocolate chip and Snickerdoodles. With that said, I had never tried this kind of cookie before and was excited to learn that they are much more healthier than most. I received six different varieties: Original, Sesame, Gingerspice, Choconut, Cinnaroma and Chocolate Cherry. The first thing I noticed was that these were indeed unlike "regular" cookies. They're more like a biscuit. I didn't pair them up with anything fancy such as cheese or toppings of any kind. I did dip them in vanilla ice cream though. They worked perfectly as a spoon. The best combo was definitely with the Cinnaroma. It reminded me of "fried ice cream" that I used to get from Chi-Chi's when they were still around! My favorite flavor was Chocolate Cherry. I tasted real cherry flavor thanks to the real cherry chunks! The chocolate and cherry worked very well and it was a perfect balance of the two flavors. I also want to mention the Gingerspice had a very interesting taste. I could taste authentic ginger, not the kind you find in gingersnaps, for example. I wasn't expecting the Original flavor to be anything special because compared to the others, it seemed boring...just raisins and almonds. However, that's all it needs because it was delicious as well! Each flavor had a unique, distinct taste and were sweet in their own ways, but not too sweet. They would make great snacks for children. As you can see in the pictures, they are loaded with almonds and raisins. The chocolate varieties didn't skimp on the chocolate chips either. Even though they were extremely crunchy, they weren't "hard" and I had no problem chewing them. Thanks to their low calorie and fat content, I was able to eat as many as I liked at once and didn't feel bad about it at all! With all that said, I do want to add that you should be prepared to eat each package fairly quickly or put the leftover cookies in a baggie or other resealable container to preserve their freshness. The packs they come in are hard to keep closed unless you have a small clip. All in all though, I thought these were great cookies and definitely live up to their claims of being healthy, yet delicious! Almondina will send the giveaway winner the same sampler package that I received! ($41 value) There are no mandatory entries; do as few or as many as you would like. U.S. only, ends at 12:01am EST on 8/26/12. GOOD LUCK!